I am roughly (according to my kindle) one quarter of the way though this book and it’s taken a long time in coming but Boghossian begins talking about which epistemological school of thought he wants his Street Epistemologists (SEs) to take. He discards coherentism as a practical option for disabusing people of their faith (for rather spurious and superficial reasons I think)  and suggests that foundationalism is a better ‘paradigm’ for “deconstructing a subject’s faith.” [Loc.1298] It is only being adopted for pragmatic and apologetic reasons however and you should see why by the end of this post. So Boghossian has a rather large piece of evidence against his contention that ‘pretending to know things you don’t know’ is the foundation stone for all theists within two pages of having made the claim. The only problem is he fails to explain this to his (mostly I would think) non-philosophically trained readership. Now I would rather not believe that Boghossian is deliberately trying to deceive people who don’t know their philosophy very well so I will put it down to an oversight on his part but it’s a pretty huge oversight especially for someone who teaches some philosophy. It appears to be highly ironic when Boghossian cites Jacques Derrida favourably as having suggested that in order to deconstruct a tradition one must really understand it. [Loc.1286] Yet, up to this point, it’s hard to find much evidence that Boghossian has really understood Christianity very well at all. I mean, if he cannot even get the basic Christian idea of faith explained correctly then it suggests he’s not very well placed to engage with Christian philosophy. So does Boghossian think that all ancient writings are fictional because they’re ancient? I’m sure he cannot mean that but then why is he comparing a writer of plays with historical narrative on the basis of nothing other than age? Should modern virtue ethicists also stop quoting from Aristotle since he’s far more ancient than Shakespeare? And when Boghossian mentions killing surely he realizes that he is simply joining the vast majority of religious people who also don’t kill other people due to disagreements in interpretations? If Boghossian is claiming that every single holy book in every single religion on planet earth has been misunderstood by religious scholars as having a bearing on history, politics, ethics, philosophy or theology then I think he may well find that scholarship is very much against this rather odd reading. What a horrible thing theistic religion is! The only problem is that Boghossian does not spend any time whatsoever interacting with what theistic religion has had to say on the issue of epistemology. Instead, we are asked to blindly trust Boghossian’s impressions on this matter. This is not the first time this has happened. I noted Boghossian’s reluctance to engage with religious philosophers when he was (mis)defining faith. I noted his lack of scholarly citation when claiming the Greek word έλεγχος had dramatically changed in meaning. Now we come to another crucial moment in the SE assessment of religion and yet again we are denied any interaction with religious thinkers at all. Since pretending to know something you don’t know would be seen as something quite unvirtuous and unethical it’s pretty hard to see how Boghossian could claim it would be a central aspect of Christian epistemology over the last two thousand years. 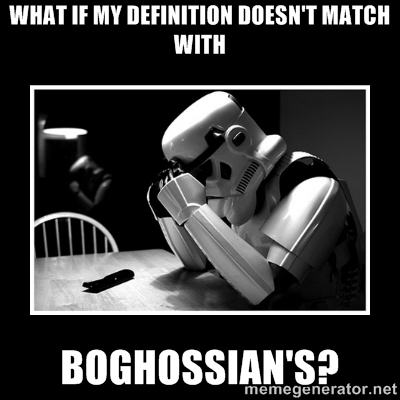 But then, Boghossian has not made a case for this central thesis of his book. He has simply stated it without any supporting evidence and with no interaction with the main Christian thinkers or thinkers from any of the world’s religions at all. If Boghossian wants to demonstrate there is something systemically problematic with religious epistemology then I would suggest he starts interacting with some of the world’s leading religious philosophers on the subject. Since he is making claims about theistic religions which certainly do not appear to fit with what Christian philosophers have to say about epistemology it could well be claimed he is creating a straw man. Until he does begin interacting with religious philosophers and what they actually say it’s getting difficult to take him too seriously. His comments about coherentism appear to show a very superficial understanding of this epistemological method however. He also fails to explain how he might deal with a theist who is a coherentist. This entry was posted in Atheism, Atheist apologists, Epistemology, Evidentialism, Faith, New Atheism, Philosophy, Street Epistemology, Theology and tagged Descartes, John Cottingham, Peter Boghossian, Peter S. Williams, Thomas Aquinas. Bookmark the permalink. I don’t really see how ‘faith’ is an obstacle. 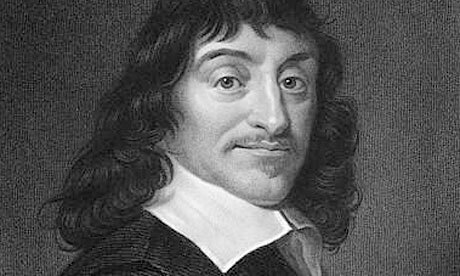 It seems historically and from biographies on many great scientists of the scientific revolution, Descartes included, that faith was in part a great starting point for science. The fact that most of them were christian/theists supports this claim. And since faith is not an obstacle for a revolution in science, maybe it is not so urgent that we dismiss it. Faith and Reason are essential to good science. The video posted makes great sense of this in that Descartes as a practicing scientist and philosopher, that for human reason to be trustworthy it must first be doubted. You can’t start science with doubting alone. Something needs to be certain. For Descartes it was God, and eventual his own existence that gave him and us that starting point. I would love to hear Boghossian explain why humans should have believed that the universe was rational and increasingly understandable, before significant science had been done. I don’t know if Rodney Stark’s thesis that Christians’ faith in God and his rationality and their image-bearingness advanced science is true, but it seems compelling, in a way that Boghossian ought to find deeply disturbing. This makes me wonder about what people these days think about the lawfulness or lack thereof, of people’s inner lives, these days. Francis Schaeffer famously talked about the “upper story” (universals, values, meaning, purpose, etc.) being utterly disconnected from the “lower story” (the particulars of life), leaving us unable to even talk about the “upper story”. I know that Schaeffer has his problems (Roger Olson and James Barr have called him a “psuedointellectual”), but it seems that he was really onto something. Would you comment? Well yes I agree with you. I’m only 25% of the way through Boghossian’s book but it does not look like he’s going to engage with any Christian philosophers at all other than a tiny dismissive nod in a footnote. It’s a very anti-intellectual book in this regard so far. So my expectations have been becoming lower and lower. Yes I think those are rather unfair jibes at Schaeffer. I do think Schaeffer does sometimes overgeneralize but, on the other hand, if you don’t have people willing to do that you can never get a grasp on anything. So as a beginning point into philosophy as he was for me) I have always been grateful for his writings. I think that distinction between upper and lower stories is most apt in this case. I’m currently writing something in reply to the British Humanist Association and they too appear to want to be able to assume the upper story metanarrative of Christianity while tinkering with the lower story. I think this is very damaging to such views. It’s time they faced the music on the meta-issues which they want to assume. 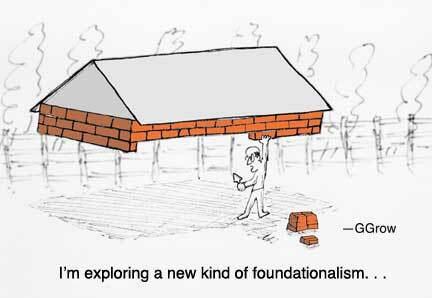 This is, after all, where materialism and naturalism are having some serious problems. I would be interested in reading that, if it’s going to become public. 🙂 And I’d be interested in other things to read. Have you come across Josef Pieper’s “Divine Madness”: Plato’s Case Against Secular Humanism? I would highly recommend it. I’ve checked out from the library, but haven’t yet started Excellence Without a Soul: Does Liberal Education Have a Future?, a 2006 book by an 8-year Dean and 30-year professor of Harvard. Thank you for the John Cottingham video link. It’s a very good introduction to Descartes. You’re welcome. He has a book on Descartes as well if you want more! Cottingham did his PhD dissertation on Descartes, and wrote quite a few books on the subject, including a 3-volume compilation of Descartes’ philosophical writings, which this video has inspired me to read. Yes that’s right. I’ve had the pleasure of meeting and hearing him lecture and I have read the three volumes you refer to. He is a real authority on Descartes. I’m glad this inspired you to read more of him. That’s great. Just out of curiosity, does he have any strong religious belief himself? Are there any written statement or public confession? I’m curious because he never talks about his own religious belief in his interviews/lectures. His supervisor at Cambridge, Sir. Anthony Kenny, is a Catholic turned agnostic, and upfront about it. Yes there is. His book ‘Why Believe?’ is an explanation of why he’s a Christian. It’s a fantastic little book. I highly recommend. I found this video “Why Believe”. I’m not sure if it summarizes the book with the same title. In it, Cottingham talks about the reason to believe in something transcendent, not necessarily Christian.